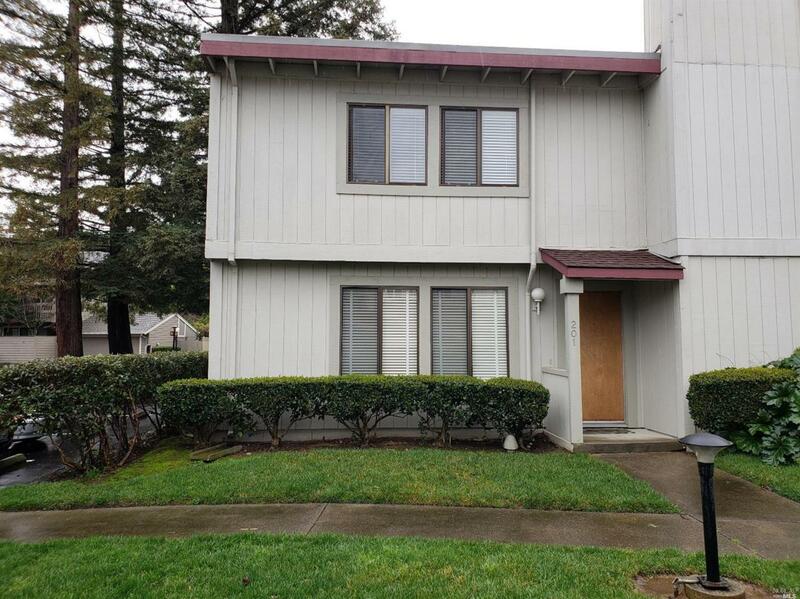 Spacious end unit in convenient Southern Novato location! Features: kitchen with stone tile counter tops opening to dining area, spacious living room, laundry area off kitchen with washer/dryer included, bamboo flooring, newer window coverings, master bedroom suite w/vaulted ceilings & lots of closet space, updated master bath, central heat & A/C, fenced rear patio, 2 car covered carport + community greenbelts, pool and hot tub. Won't last! Kitchen Cntr Stone Tile Dishwasher Incl. Disposal Incl Electric Range Incl. Microwave Incl. Refrigerator Incl.